Message from Rob Howard, writer of An A to Z of the Accordion Vol 1-3. John Nixon passed away on Saturday March 5th, aged 84. He had been suffering from a combination of heart disease and anemia for a long time, but his health declined drastically in recent months. The funeral is on Wednesday March 16th, 12.40, at Macclesfield Crematorium, 87 Prestbury Rd, Macclesfield SK10 3BU, followed by a gathering at the Church House Inn, Buglawton, Congleton, Cheshire CW12 2DY. John Jones & I have been asked to play our accordions. All are welcome. Family flowers only, though donations may be made to Crossroads Carers. Nixon, John Born in Bolton, Lancashire, in 1927. John Nixon’s father was the lead concertina player in the 24 strong Bolton Concertina Band in the 1920s and 30s. John was taught the English concertina by his father at four and a half years old, and by the age of six had joined the band! In January 1935, the Bolton Concertina Band, including seven year old John, broadcast from the BBC on the radio’s Light Programme. After that, John made many radio broadcasts, usually on ‘Children’s Hour’. John became a professional musician in dance bands, using concertina, clarinet and alto saxophone. He became a session musician in recording studios, and also a regular in jazz clubs, becoming friendly with Jack Emblow and the American Frank Marocco. A highly skilled and sensitive musician, John Nixon is one of Britain’s finest exponents of the English concertina. John also played tenor sax and clarinet with the Manchester-based NDO (Northern Dance Orchestra), famous for their frequent BBC radio broadcasts in the 1950s and 60s. As a session musician, John Nixon has appeared on the recordings of many stars of show business, including Paul McCartney, Barbara Streisand, Henry Mancini, Michel Legrande and George Martin, to name just a few. His playing can be heard on the soundtracks of such BBC television programmes as Kidnapped, All Creatures Great and Small and ’Allo ’Allo, whilst his film credits include Santa Claus the Movie, Tess, and The Hound of the Baskervilles – to name but a few examples of John’s TV and film work. In 1984, John played on Paul McCartney’s We All Stand Together, which became a Number One chart hit at Christmas. He recalls that the recording session involved him using treble, baritone and bass concertinas, together with The King’s Singers, the junior choir of St Paul’s Cathedral, an orchestra conducted by George Martin, and the legendary ‘Macca’ himself. John remembers Paul McCartney exhorting The King’s Singers to make sounds like frogs, demonstrating animatedly what he wanted! On another occasion, John was in the studio, again with George Martin at the helm, playing alongside leading French accordionist, Marcel Azzola, whilst recording a film score. During a lunch break, with the studio otherwise empty, John and Marcel, plus a keyboard player had an impromptu jam session, playing jazz together. John wishes to this day that someone had recorded them – a lost opportunity, alas. 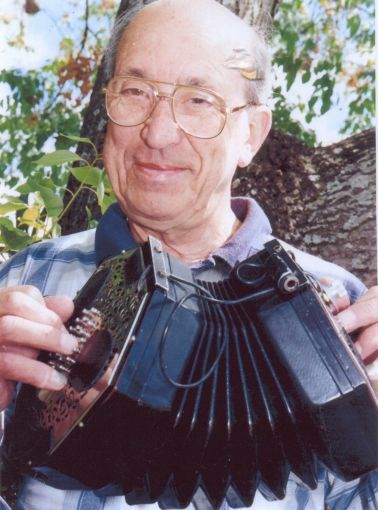 Since retiring from the session business, John has played and recorded two cassettes with the jazz accordionist Harry Hussey, and has made a CD solo recording, John Nixon – The English Connection. This CD is a showcase for John Nixon’s playing and arranging talents, plus his skill as a record producer. Most tracks involve multi-tracking of concertinas and other instruments, creating small group and band effects in a monumental project that must have taken a long time to prepare and produce. In 2002 John was elected as a Vice President of Stockport Accordion Club, and one of his great pleasures is to play impromptu duets with whoever happens to be the guest on Club Nights. See also English Connection, The. Very sad news. sorry to hear it. I believe I only met him once (or was it twice? ), but I came away with a good impression - and a CD. Unfortunately I never met John in person, although we chatted over the phone quite frequently until about 5 years ago, when his health became poor. For me, John will always be the concertina player walking down the lane at the start of Polanski's Tess. 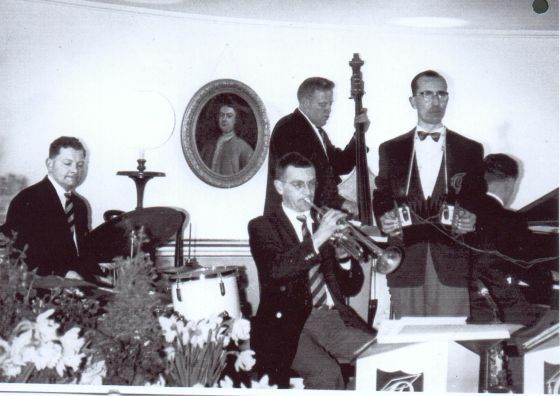 From Left to right: John in 1933; The John Nixon Quintet at The Pump Room, Bath 1962; John in 1997. 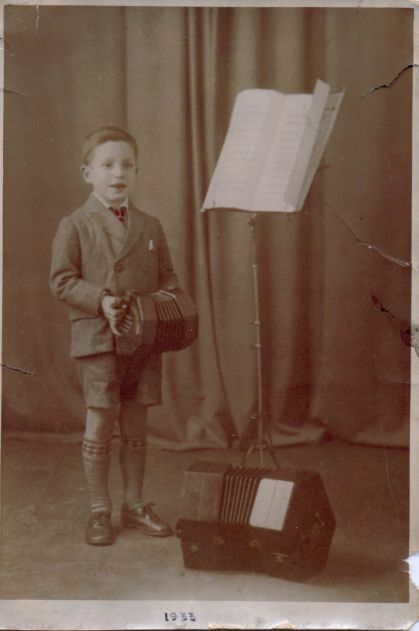 My father taught me to play the English Concertina , but even more, he taught me to appreciate all forms of music and how to listen to them properly. I had become conscious of the fact that I had gradually used the English Concertina in an ever enlarging sphere of music, and this was something that dad did during the 30's. This has been done in the company of quite famous musicians such as Michele Le Grande, Paul McCartney , and Barbra Streisand, and I feel sure that my father and the man who taught him so many years ago , would have been pleased and even proud to have witnessed such a wide acceptance of the English Concertina. 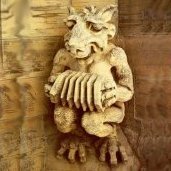 I hope that others can further this , and that the very many players whose main interest lies in the English Folk Idiom will take advantage of any tuition available, to spread their abilities to take in classical, Jazz and Dance Music, in addition to the Folk Music of other countries. To lose such a person is always a shock. We know it's inevitable, yet can't help but ask, "Why so soon?" tradition, along with our many others. Few of us will reach his stature, but we of the younger generations (most younger than my own) are many and undoubtedly include at least a few great talents who also appreciate a broad range of musical tastes. Let's not mourn John's passing, but celebrate the very full life he lived. And let us hope for and work toward a future that would have pleased him. I must add my thoughts for John. I had a number of phone calls with him during the making of English International and he was a sick man then, sadly, he had to keep having blood transfusions to keep him going. John, when he felt better, loved nothing more than going along to a jazz session and playing along with other jazz musicians. He was a very well respected as a musician wherever he went. He was very specific that he wanted to be known as an all round musician not a jazz musician and was in fact planning to do a Regondi Album. There may be some recordings of this work available. A very big loss to the Concertina World. You may be interested to know that John's collection of concertinas (including the MIDI that I built for him) are going on sale this month from 14th/15th at public auction. What an amazing collection and just down the road...fortunately for my wallet, I'm away those days. Is number 1343 really a Wheatstone, as described? It has Wheatstone-labeled handstraps, but it looks more like a Jones to me. Late Wheatstone Model 4A, still being offered after the move to Boosey's main works at Edgeware Road.